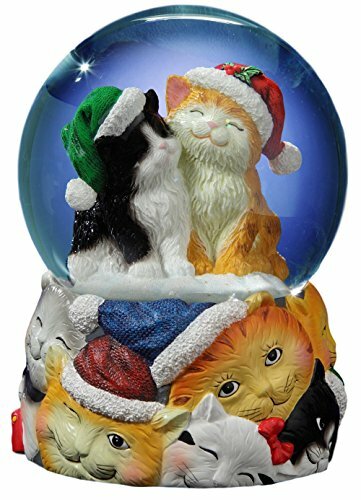 Christmas Cats Snow Globe plays the tune "We Wish You a Merry Christmas" with 18-Note movement. Features two adorable kitties with Santa hats inside the globe. Base is made of sturdy resin with Christmas cat detailing. Snowflakes flurry about when globe is shaken. Hand sculpted and painted for excellent quality and detail. Perrfect gift for the Holidays! If you have any questions about this product by The San Francisco Music Box Company, contact us by completing and submitting the form below. If you are looking for a specif part number, please include it with your message.